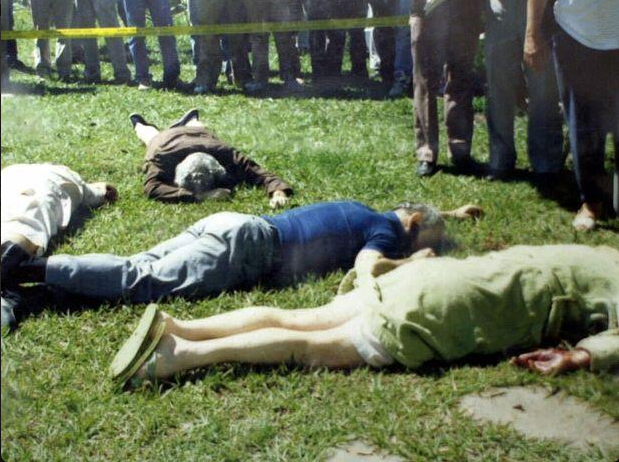 Twenty-five years ago today, in the war-torn country of El Salvador, U.S.-trained gunmen marched onto a college campus, dragged priests from their beds and shot them in the quad. Earlier this year, a masked man came to the door of the Jesuit residence in the Syrian city of Homs, asking to see the priest. When Fr. Frans van der Lugt emerged and sat down with his guest, the visitor shot him in the face. The Jesuits, their housekeeper, and her daughter were murdered on November 17, 1989. On Thursday, the Georgetown community came together to commemorate the first of these attacks. The Mass, and particularly the Gospel reading, reminded me of the victim of the second. In Luke 17:20-25, Jesus tells his followers and critics that the “kingdom of God” would not initially be established in the way they’d expected or hoped. The third-century Church Father, Origen of Alexandria, quotes Jesus and explains the passage in his important work, On Prayer in The Liturgy of the Hours. Contrary to our expectations and to those of Jesus’ companions, God’s kingdom will not simply come in some future time, where an earthly, political authority that will enforce peace and justice. God’s kingdom is here now. It is constantly created and renewed through the self-sacrificing love of God’s people. The kingdom is found among those who share in the struggle of another; who speak truth to power; who work for justice and understanding; and who practice radical forgiveness and non-violence. 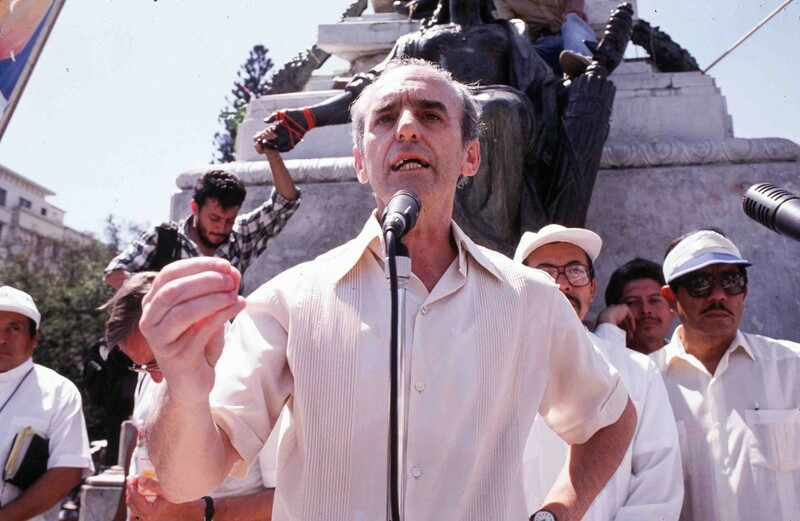 Ignacio Ellacuria speaking in San Salvador. The kingdom, then, was no doubt present in the war-weary San Salvador and in the besieged Old City of Homs. There, Ignacio, Segundo, Juan, Ignacio, Joaquin, Armando and Frans lived out the self-giving love, agape, that Jesus’ life and death ask of us. 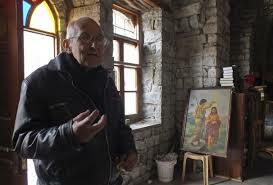 Frans, originally from the Netherlands, lived alongside the Syrian population—Christian and Muslim—for fifty years. Ignacio Ellacuria, a Spaniard strongly defended the poor, angering both sides of the conflict when he said, “I am not a Communist, I am a Christian.” In both Syria and El Salvador, the Jesuits refused to join the fight, a stance that proved so threatening they had to be silenced. Fr. 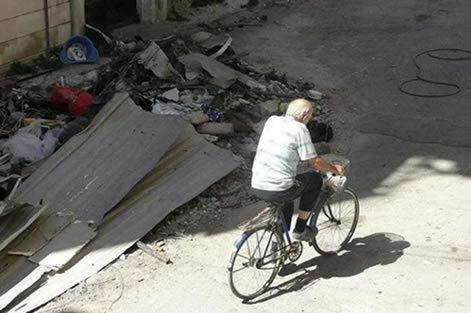 Frans was known for riding his bike around Homs, even after the war began. If you are unfamiliar with the lives and deaths of these brave men and their companions, check out the following links. Thanks for this great post. I so value your scholarship and then your clear writing on these most important topics. Sadly, I feel that most Christians, and certainly most Catholics, skim the surface of their faith and have no idea of the things your write about. Here’ hoping that your writings find an every bigger audience.